“It is with a feeling of satisfaction that I have learned about the award by the Permanent Court of Arbitration. It is the first independent tribunal to have considered the YUKOS case in its entirety, to have examined the evidence and to have heard witness testimony. 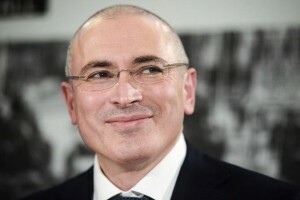 The findings were predictable for any unbiased observer of the disgraceful Basmannyi travesty of justice: from beginning to end, the YUKOS case has been an instance of unabashed plundering of a successful company by a mafia with links to the State. It is fantastic that the company shareholders are being given a chance to recover their damages. It is sad that the recompense will have to come from the State’s coffers, not from the pockets of Mafiosi linked to the powers that be and those of Putin’s oligarchs. I am taking this opportunity to confirm that I am not a party to these legal proceedings and I do not seek to benefit financially from their outcome.